Now days, everyone is upgrading their mobile phones to smartphones. Almost everything about smart phone and is getting bigger and better. The screen, Processor and RAM. But one thing just not keep up with rest - The BATTERY. No doubt that you love your large and colourful display of your smartphone. But most of the power is used to light the display. 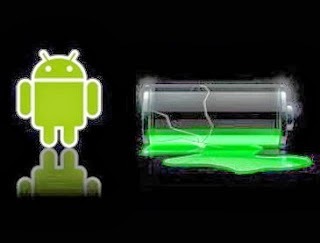 It is necessary to keep optimum brightness to save the battery life. 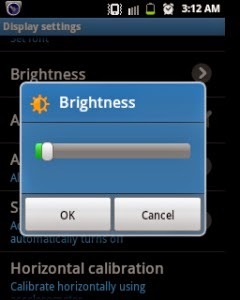 Settings –> Display Settings –> Brightness –> Select manually / enable Automatic brightness. Most of the people often left bluetooth and WiFi on, even if they are not using it. Settings –> Wireless and Networks –> Wi-Fi settings / Bluetooth settings. Settings –> Location and Security –> Use GPS satellites. It gives your smart phone a new look but Live wallpapers runs in background every time you unlock your mobile. If you need to save your battery you need to compromise on not using the animated wallpapers. Do not download any application of animated wallpapers as well. Background data give permission to an app to use the mobile data and run in background. Example GTalk will use the mobile data if the background data is enabled and it will show you as online. This background running will kill your battery life. 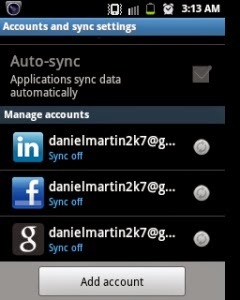 Settings –> Accounts and Sync Settings –> Disable Background Data. You think that how does signal strength can effect the battery life. But When signal strength is low, the mobile battery will dry soon. Make sure you have good signal strength in your locality. Disable automatic updates will ensure that the update of an application does not happen in the background. This small activity can save your battery life. As you know, battery life is very important to use your phone to the fullest. By trying above simple ways can save you hours and hours of battery life. As you can see these steps aren't technical and are just general guiding principles that anyone could follow in their day to day life.